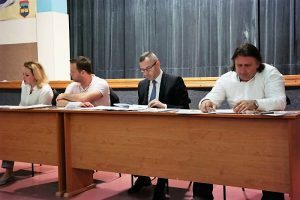 A decision for establishing of the Employment Council of Prnjavor municipality was adopted at the meeting of the Economic Council of Prnjavor municipality held on April 24, 2018. The members of the Economic Council have unanimously supported the decision for establishing the Employment Council and, through a lively discussion, emphasized importance of the Employment Council’s work to improve situation in the municipal labor market. 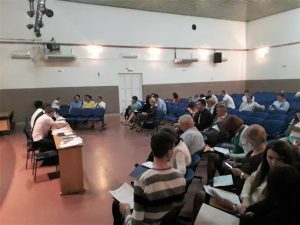 Relevant stakeholders in the labor market of the municipality were appointed as members of the Employment Council: representatives of the Secondary school, the Employment Bureau, Department for local economic development of the municipality and local companies. The Employment Council acts as a permanent working group within the Economic Council and it is in charge of identifying, initiating and monitoring of implementation of employment measures in the municipality, as well as for other activities important for matching supply and demand in the labor market of the municipality. 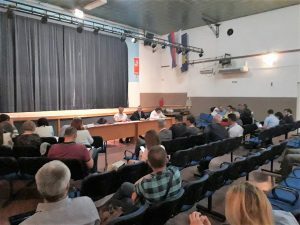 The Employment Council works very successfully since October 2017 in form of a working group for preparation of the Action plan for employment of the Municipality of Prnjavor for period 2018-2020, while formal decision regarding establishing of the Employment Council will contribute to the necessary sustainability of the work of the Employment Council after the adoption of the Action Plan. At the meeting of the Economic Council, draft of the Action Plan for Employment of the Municipality of Prnjavor for the period 2018-2020 was also unanimously adopted. In the Action Plan, 17 active employment measures have been identified which will be implemented in the period 2018-2020. The above-mentioned activities have been conducted within the project “Partnership for quality jobs and competitiveness”. This project is funded under the project “Support to Local Employment Partnerships in Bosnia and Herzegovina”, funded by the European Union and implemented by the International Labor Organization (ILO).